For many, smart grids are the biggest technological revolution since the Internet. They have the potential to reduce carbon dioxide emissions, increase the reliability of electricity supply, and increase the efficiency of our energy infrastructure. Smart Grid Applications, Communications, and Security explains how diverse technologies play hand-in-hand in building and maintaining smart grids around the globe. 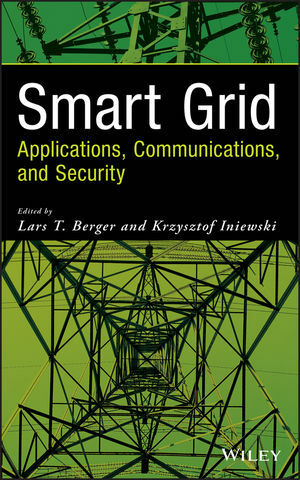 The book delves into the communication aspects of smart grids, provides incredible insight into power electronics, sensing, monitoring, and control technologies, and points out the potential for new technologies and markets. 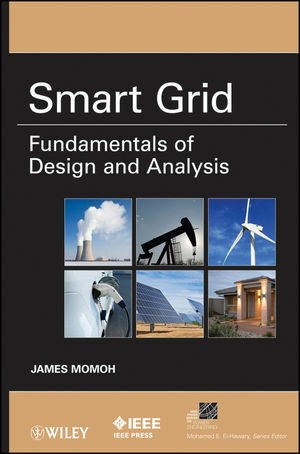 Part IV: Case Studies and Field Trials presents self-contained chapters of studies where the smart grid of tomorrow has already been put into practice With contributions from major industry stakeholders such as Siemens, Cisco, ABB, and Motorola, this is the ideal book for both engineering professionals and students. LARS TORSTEN BERGER, PHD, is founder of BreezeSolve, a Valencia-based company offering engineering and consultant services in telecommunications, signal processing, and smart grid. He is currently also directing the R&D Department of Kenus Informática, Paterna, Spain. In his career, Dr. Berger has worked for Daimler-Benz Aerospace, Nortel Networks, Nokia Networks, as well as DS2, and has held faculty positions at Aalborg University, Denmark, and Universidad Carlos III de Madrid, Spain. KRZYSZTOF (KRIS) INIEWSKI, PHD, is managing R&D at Redlen Technologies Inc., a start-up company in Vancouver, Canada. Redlen's revolutionary production process for advanced semiconductor materials enables a new generation of more accurate, all-digital, radiation-based imaging solutions. Dr. Iniewski is also Executive Director of CMOS Emerging Technologies. In his career, Dr. Iniewski has held numerous faculty and management positions at the University of Toronto, University of Alberta, SFU, and PMC-Sierra Inc. He has published over 100 research papers in international journals and conferences, holds eighteen international patents, and has written and edited several books.